Eurovision Song Contest 2018 has finished and everyone is waiting and already looking forward to the next edition of this contest that will take place in Israel. But there are good news... Eurovision isn't over! Eurovision Young Musicians 2018 will be the next EBU contest. Eurovision Young Musicians is a biennal classic music competition (with a similar format of ESC) for people with less than 18 years old. It was created with 1982 and 2018's edition will be the 19th edition of the contest. For the 2nd time in the contest history, Eurovision Young Musicians will take place in the United Kingdom. Manchester was the host in the 1st edition and 36 years later, the contest is back to that country. Edinburgh was the selected city to host it. Usher Hall will be the host venue for the final. It is not the first time that a Eurovision event takes place in this venue. Usher Hall hosted the 1972 Eurovision Song Contest and the 2008 Eurovision Dance Contest. Albania, Belgium, Croatia, Czech Republic, Estonia, Germany, Greece, Hungary, Israel, Malta, Norway, Poland, Russia, San Marino, Slovenia, Spain, Sweden and United Kingdom. BBC Radio 3 will be the hosts and they will distribute to the Euroradio network. The participant broadcasters will also stream the contest. Tickets are available on the oficial site of Eurovision Young Musicians. 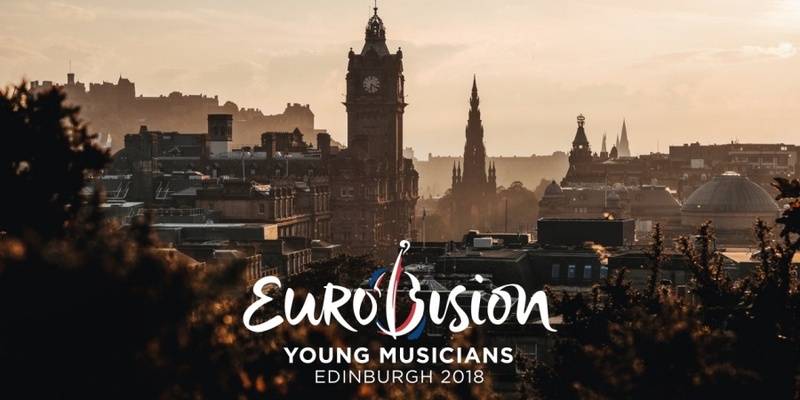 Remember to book in your agenda: 18-23 August 2018, Eurovision Young Musicians, one of the most important classic music competitions of all Europe. João Barateiro has watched his first show in 2009. His favourite Eurovision songs are: Cyprus 2018, Moldova 2017 and Norway 2014.